This volume contains a selection of writings from the seminal figures in British political theory from Bernard Bosanquet to Anne Phillips and Bhikhu Parekh, which trace the transformation of political theory and its relation to trends in British politics and the state. Paul Kelly is Professor of Political Theory at the London School of Economics where he has taught since 1995. He is author editor and co-editor of ten books including Utilitarianism and Distributive Justice (1990), The Social Contract from Hobbes to Rawls (1994), Impartiality, Neutrality and Justice (1998), British Political Science (2000), Multiculturalism Reconsidered (2002), Political Thinkers (2002), Liberalism (2004), and Locke’s Second Treatise (2007). He was joint editor of Political Studies and is currently the editor of Utilitas. 1. 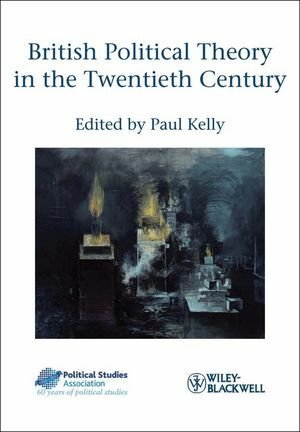 British Political Theory in the Twentieth Century (Paul Kelly, LSE). 2. The End and Limits of State Action (Bernard Bosanquet, Deceased). 3. The State and the Individual (L.T. Hobhouse, Deceased). 4. The Great Leviathan (J.N. Figgis, Deceased). 5. Nationality (Ernest Barker, Deceased). 6. The Pluralistic State (Harold Laski, Deceased). 7. A Guild in Being (G.D.H. Cole, Deceased). 8. Liberty and Equality (R.H. Tawney, Deceased). 9. The Political Economy of Freedom (Michael Oakeshott, Deceased). 10. Are There Any Natural Rights? (H.L.A Hart, Deceased). 11. The Public Interest (Brian Barry, Deceased). 12. What’s Wrong with Prostitution? (Carole Pateman, UCLA). 13. Dealing with Difference (Anne Phillips, LSE). 14. In Defence of Nationality (David Miller, Oxford University). 15. From Statism to Pluralism (Paul Hirst, Deceased). 16. The Logic of Intercultural Evaluation (Bhikhu Parekh, University of Westminster).